As Microsoft partners, Toucan Internet can provide Exchange 365 - a powerful and easy to use system that makes your mail, your diary and your address book available from an Internet connection anywhere you are. The clever part comes when you have more than one device and want to keep your diary, addressbook and email synchronised across many devices such as PC, iPhone and iPad. This is where Microsoft's Exchange 365 Server comes into the equation. The Exchange Server sits on the Internet and is repeatedly monitoring all your devices and when it sees a change on one device it will synchronise all the other devices so they are all holding exactly the same information. Costs start at £3.30 per month for a massive 50GB mailbox, Outlook Web Access and a raft of other facilities and apps including 25GB of cloud storage that will also synchronise with your devices and PC.. 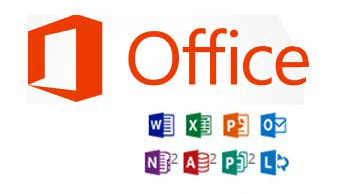 This offering can be extended further to include all Office 365 products including desktop versions of Word, Excel, PowerPoint, Access, Publisher, Lync, OneNote and Outlook. Talk to us about your requirements and we can advise the best solution and also put you in contact with associate IT support companies who can assist you with the installation of these services on your devices, if required. Call Simon on 01279 871 694 for more details or contact us here.